Here are two new literary agents seeking clients. 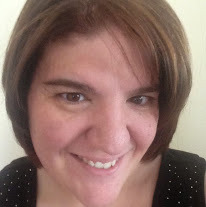 Tara Gelsomino (One Track Literary Agency) represents romance, women's fiction, mysteries, and young adult. 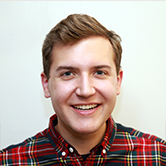 Matthew Huff (Levine Greenberg Rostan Literary Agency) is interested in novels with a dash of mystery and adventure, whether that be a middle grade/young adult novel, a high concept fantasy saga, or a twisty literary thriller. As always, go to the agency website and carefully review submission guidelines before submitting. Guidelines can change, and agents may close their lists or switch agencies. Note: For a comprehensive list of new and established agents expanding their client lists see Agents Seeking Clients. crowd-sourced audiobooks via Twitter with renowned bestselling authors Neil Gaiman and Meg Cabot. What she is seeking: One Track Literary is currently seeking completed works with vibrant, fresh voices in these genres: romance, women's fiction, mysteries, and young adult. How to submit: Use the online submission form HERE. Hailing from what he believes is the best state, Michigan, Matthew grew up on a steady diet of mystery novels and milkshakes, before heading to Grove City, Pennsylvania for college. While majoring in English, his tastes in literature expanded to include everything from T.S. Eliot to Tina Fey, while his tastes in food remained that of a picky third grader. Scrounging around for any crack in the fortress of New York publishing, Matthew worked three jobs at once until he eventually landed at LGR. Now a solidified Manhattanite, he spends his weekends watching The Sopranos, eating donuts, and unashamedly dragging his friends to the touristiest venues the city has to offer. What he is seeking: Matthew's tastes in books vary widely but he especially loves anything with a dash of mystery and adventure, whether that be a middle grade/young adult novel, a high concept fantasy saga, or a twisty literary thriller.